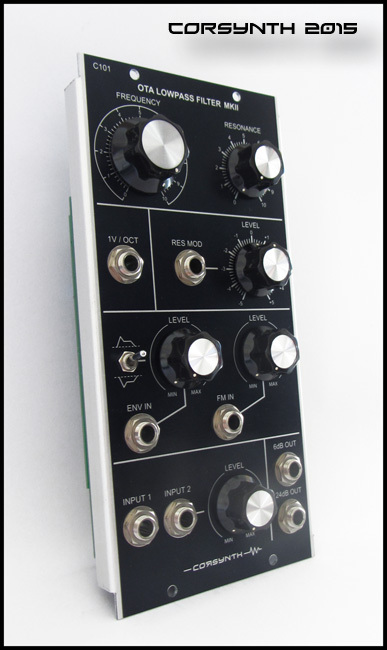 The C101 OTA Lowpass filter is a four pole low pass filter ( 24db/octave ) based on four cascade OTA-stages. 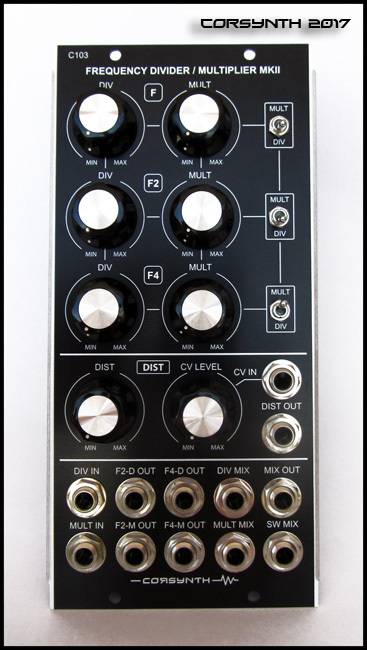 In this MKII version a new 6db output has been added expanding the sonic possibilities of this filter. 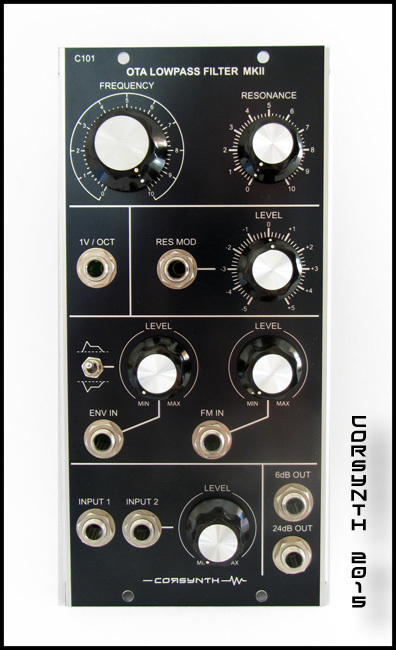 The OTA filter can be one found in classic synthesizers like Roland Jupiter 8, Roland System 100m, Roland SH-1, SH-7, SH-101, Roland System 700, Jen SX1000 and many more. The C101 has been redesigned adding new features and improving other presents on the original design. A new first order output with a 6db / octave response. With high resonance this output will sound almost like a bandpass filter. A dedicated modulation input for envelopes. 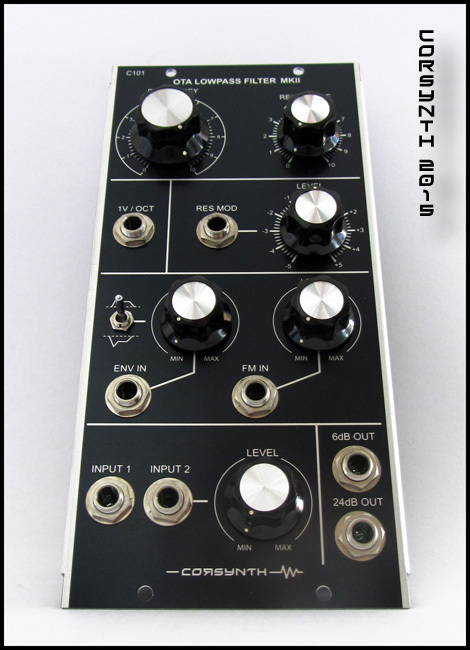 This input has a 0,66 V/Octave response expanding the modulation range to 7,5 octaves using the typical 5V envelope. In case you use10V envelopes the input response can be changed to 1V/Octave with a jumper located on the back of the module. An inverter switch has been added to easily invert the input signal. A better gain compensation circuit for the 24db output. Not more volume drop when you turn up the resonance. An attenuverter has been added to the resonance modulation input. 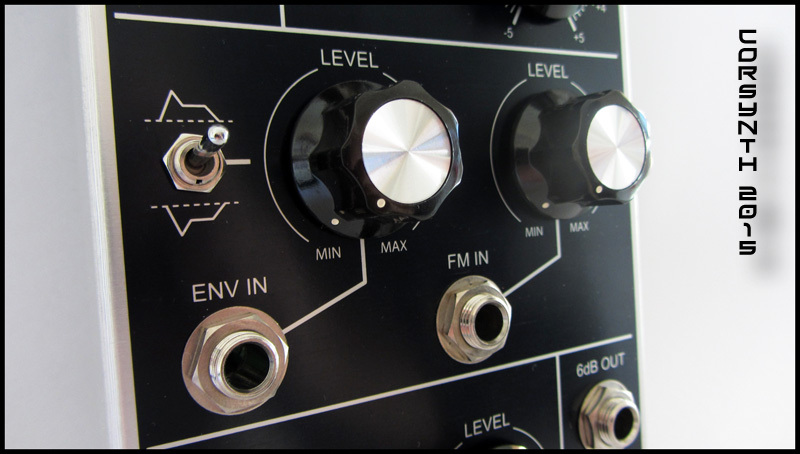 At high resonance settings the filter will start to oscillate and it can be used as a sine wave oscillator. The tracking is perfect over 5 octaves.